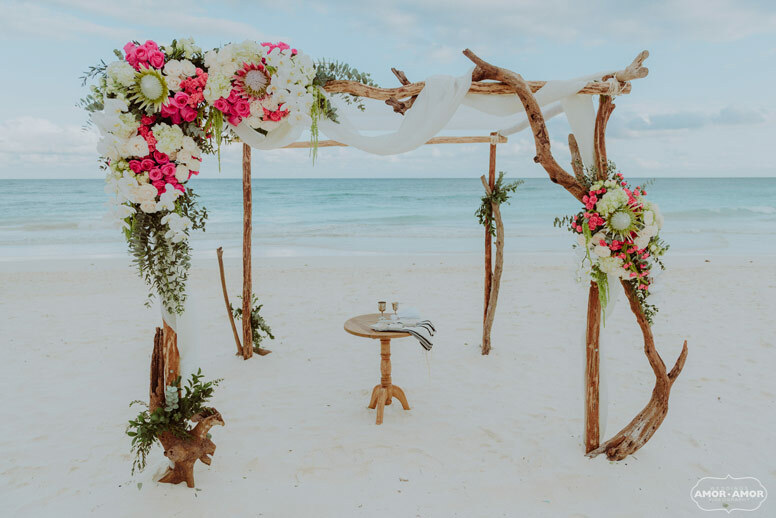 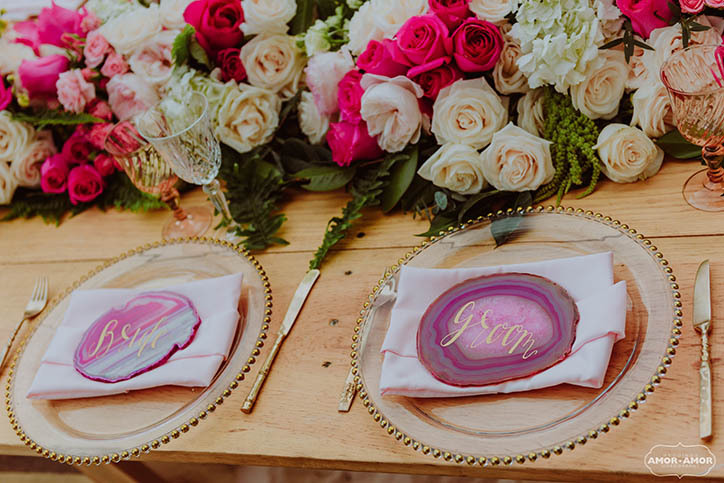 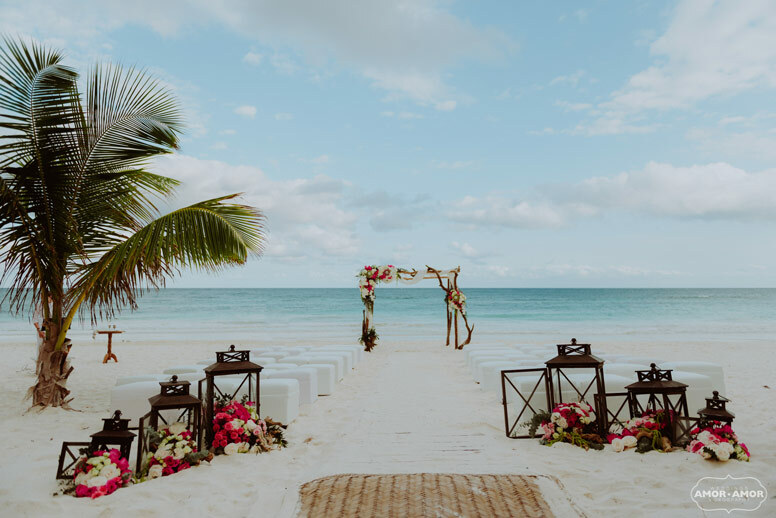 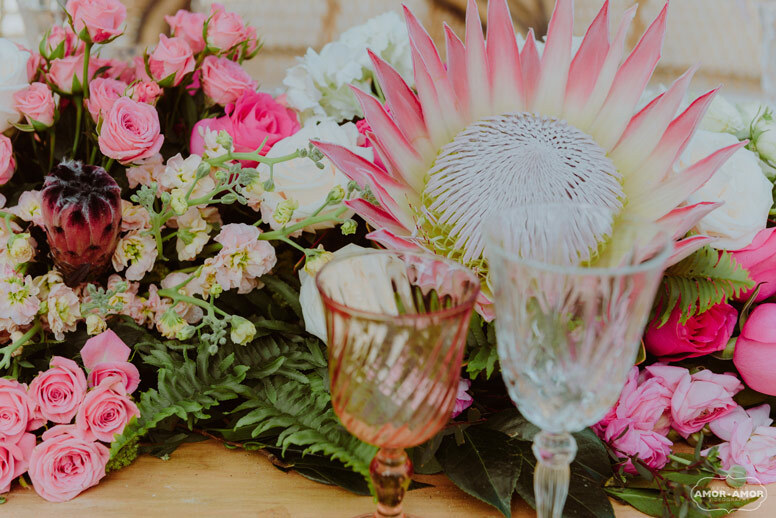 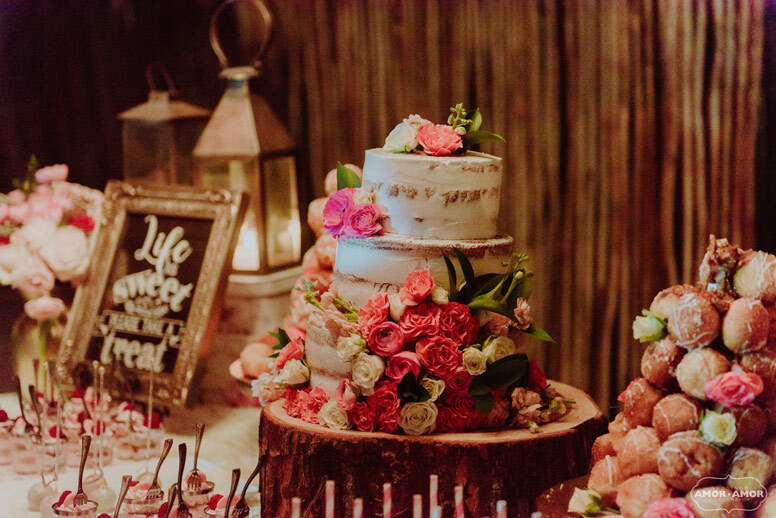 The breathtaking beaches of Tulum, the white soft sand, a gentle sea breeze, pastel-painted sky – what else can you ask for on your special day? 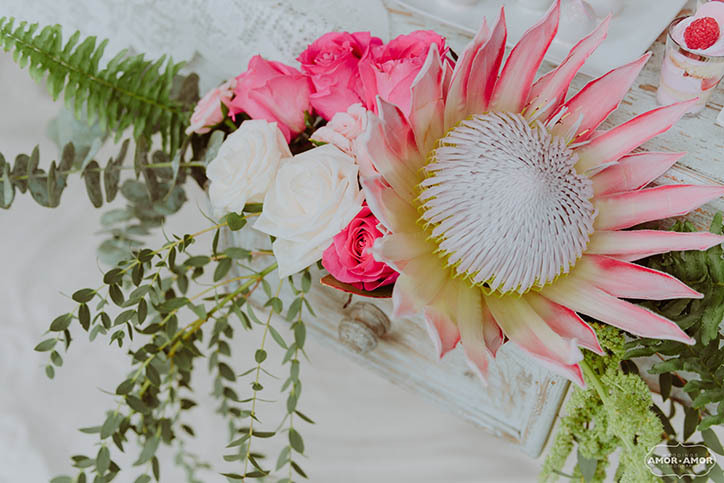 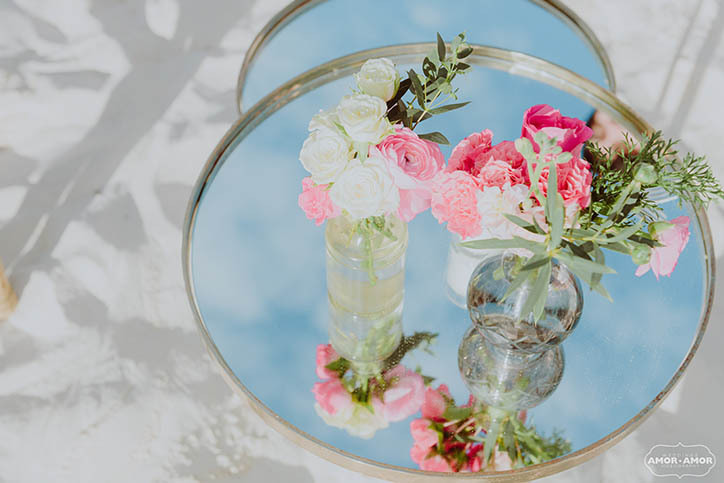 Flowers, flowers and more flowers, of course! 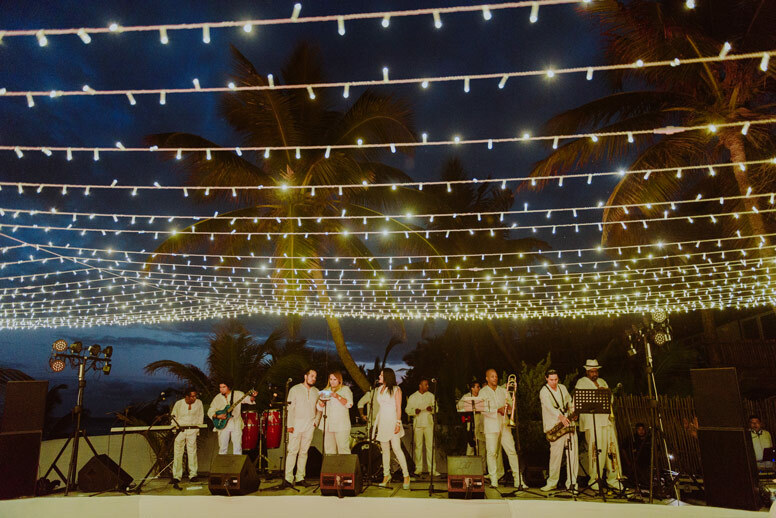 A Brazilian batucada, a live 12 piece Latin band, a steel drummer and a violinist? No problem! 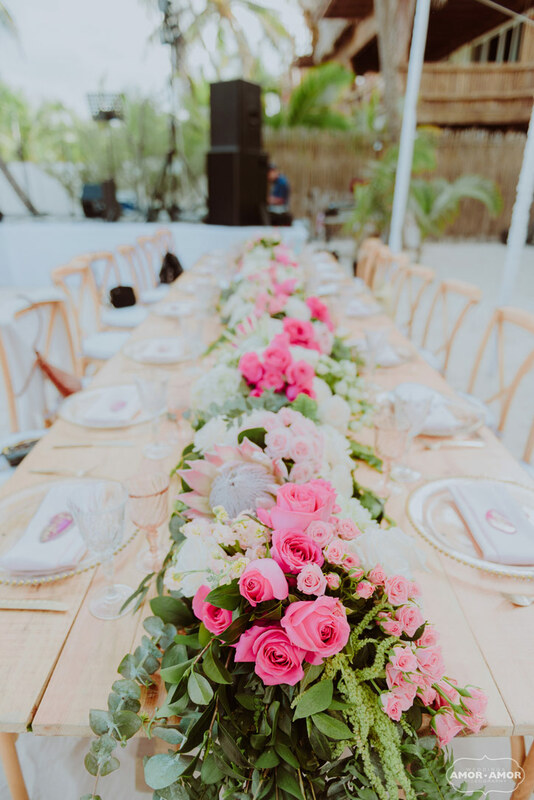 At I and Ps private celebration, attended by close family and friends who came from different parts of the globe, not a single detail went amiss. 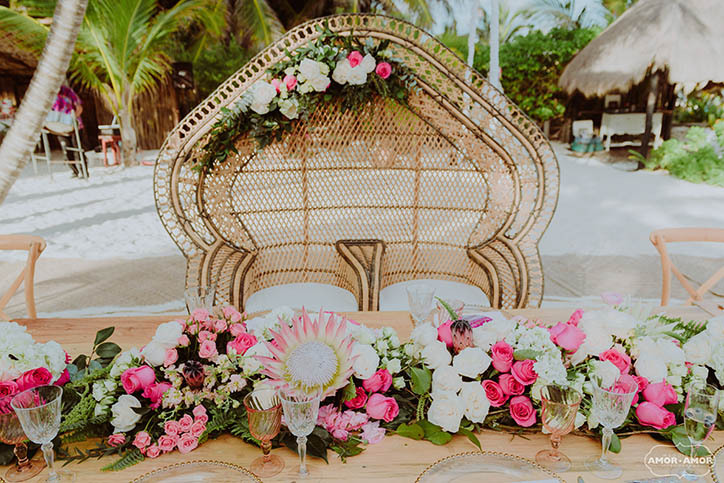 Exotic, couple’s peacock chair towered over natural wood tables filled with lush centerpieces, a throne worthy of this VIP couple. 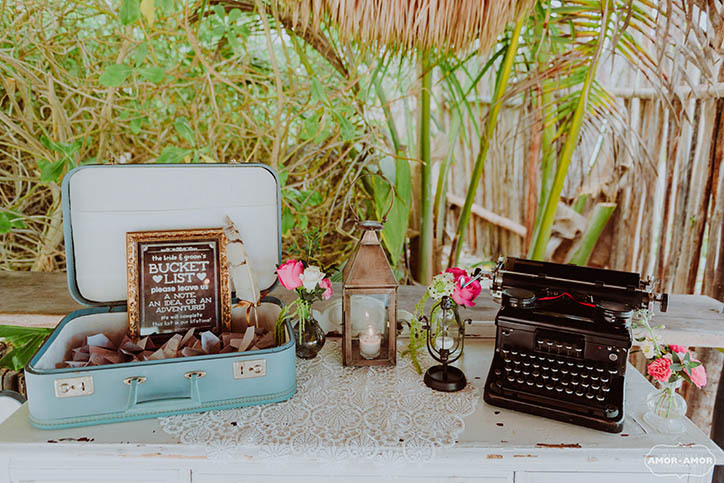 Lots of chill out places thoughtfully positioned throughout the venue made sure the guests were comfortable during the entire night as they rested after hours of dancing to the Latin and Brazilian rhythms. 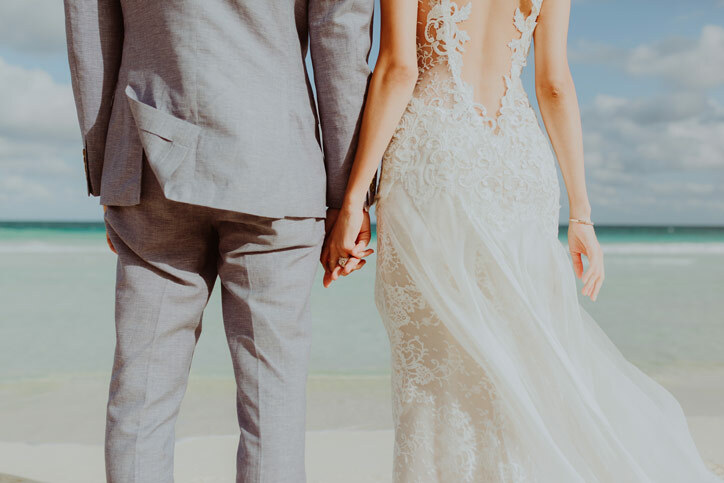 Although we cannot share the picture of the bride with you due to privacy agreement, we assure you she was stunning in her vintage inspired lace that fit her perfectly. 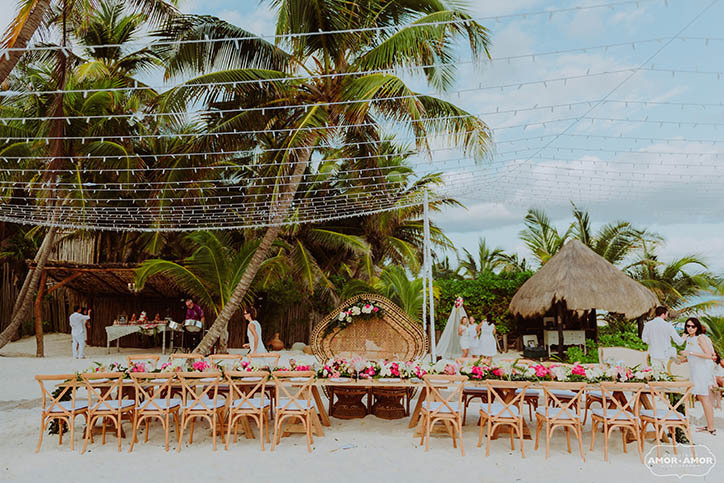 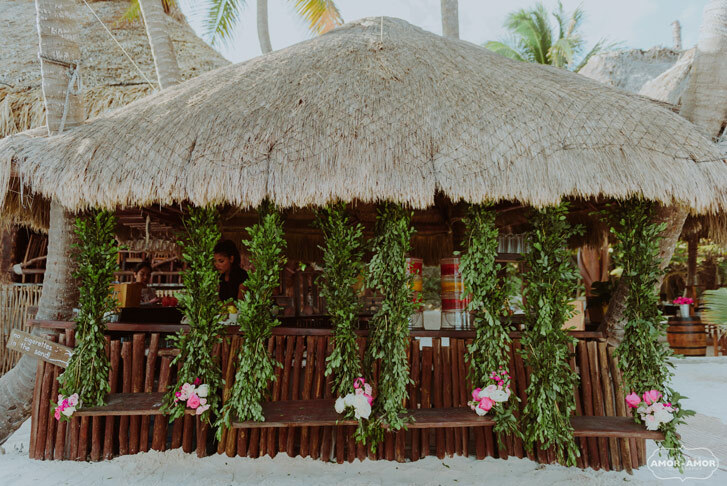 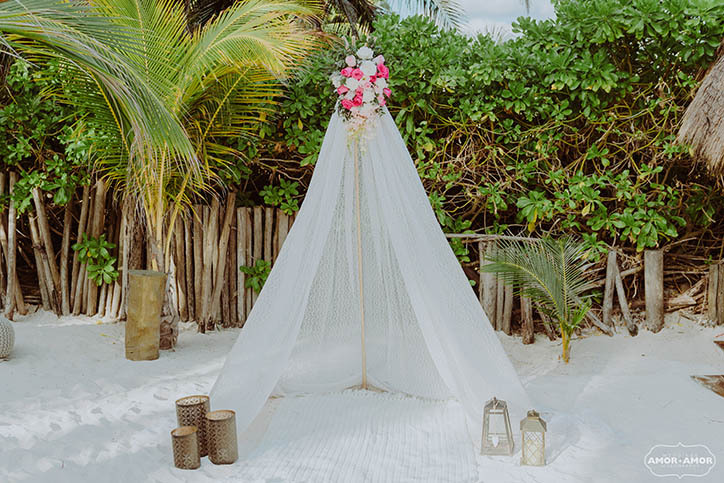 Akiin Beach Club, already our favorite venue in Tulum, proved itself once again- this time as a perfect setting for an exotic Bohemian fairytale wedding.